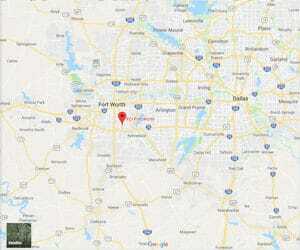 Location: Located in north central Texas, in southeast Fort Worth; north of I-20 and east of I-35. Background: First opened in 1971, FMC Fort Worth was formerly a low-security federal correctional institution (FCI), but was converted to a federal medical center (FMC) in early 2017. Inmates at FMC Fort Worth have various security levels, as well as special medical and mental health needs. Housing: Inmates are housed in units which range from cells to dormitories. Health Services: Services at FMC Fort Worth include medical and dental triage, emergency medical services, medications, eyeglasses, physical examinations, and chronic care. Emergency medical services are available 24 hours a day. Inmates are assigned to a particular Mid-Level Practitioner, who serves as their primary point of contact with Health Services. Psychology Services: The Psychology Department offers a broad spectrum of services including individual and group counseling, education, drug abuse treatment, a smoking cessation program, and psychological assessments. Emergency psychological services are available to inmates 24 hours a day, 365 days a year. The Psychology Department posts notices of upcoming offerings in inmate housing units. In order to request placement into particular programs inmates must submit cop-outs. Residential Drug Abuse Program (RDAP): FMC Fort Worth houses a Residential Drug Abuse Program (RDAP). FMC Fort Worth also provides inmates with the Drug Education class and the Non-Residential Drug Abuse Program (NR-DAP). Education Services: FMC Fort Worth provides the Test of Adult Basic Education (TABE) to determine appropriate placement in the literacy, GED, and English-as-a-Second Language (ESL) programs. Adult Continuing Education (ACE) classes and a parenting program are also available. Inmates can also participate in the Reading is Fundamental and Words Travel Programs. High school diplomas and post-secondary programs are available through paid correspondence programs. Advanced Occupational Education: FMC Fort Worth offers advanced occupational education in Building Service Maintenance and Office Technology. Vocational Training: No vocational training is available at FMC Fort Worth aside from its advanced occupational education programs. Apprenticeship: An apprenticeship is offered in HVAC. Library Services: The library at FMC Fort Worth has a collection of approximately 5,000 books, both fiction and nonfiction, which can be checked out. Newspapers, magazines, and reference books may be used only in the library. Inmates housed in the SHU have access to materials in the SHU inmate law library. Inmates also have access to the TRULINCS Electronic Law Library, where they can research federal case law, Bureau of Prisons program statements, and much more. UNICOR: FCI Fort Worth does not house a UNICOR facility. Commissary: FMC Fort Worth inmates can spend up to $360.00 monthly carryover on their specified shopping day. Shopping hours rotate on a quarterly basis and are posted in inmate housing units and the Commissary. Identification cards are mandatory for any purchases. Upon qualifying, inmates can to open savings accounts at the Bureau of Prisons Federal Credit Union located on the FMC Fort Worth grounds. Recreation Services: The Recreation Department at FMC Fort Worth offers both indoor and outdoor facilities. The indoor facility houses a large hobby/craft program, fitness equipment, card tables, music rooms, televisions, and pool and ping-pong tables. The outdoor facility includes a running/walking track, multipurpose courts, handball/racquetball courts, softball fields, and a weight lifting area.